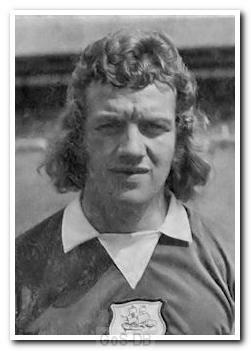 Welsh was an Edinburgh-born winger who began his professional career with Millwall, joining them from his local junior club Bonnyrigg Rose Athletic. He made only a handful of appearances in just over two years at The Den, moving on to Torquay United in 1967. After five years and more than 150 appearances for Torquay, he moved to Home Park. He was virtually ever-present over the next 18 months and played an important part in the 1973-74 League Cup run. However, the semi-final defeat to Manchester City proved to be his last game for the club as he was sold to Bournemouth. He returned to Millwall to finish his career 18 months later, and following his retirement, moved to South Africa, where he played for Cape Town City. Alan Welsh was my first Argyle hero. I attended Harbertonford Primary School near Totnes and Alan came to take us for football training. He was a inspiration and all the lads looked up to him even though he was a Torquay player. We were lucky as fellow Gulls Ian Twitchen and Ken & Phil Sandercock also trained us. I was elated when Alan signed for Argyle. As my dad was a farmer we couldn't make every Argyle match but one day dad and I managed to make a Saturday match and dad took me autograph hunting. We had a few autographs when Alan walked in. He saw me and walked straight over, shook my hand and chatted for over 5 minutes. My dad and a few others were impressed he remembered me. I will never forget that moment. Alan Welsh, great player, friendly down to earth and a gentleman. My first Argyle hero!